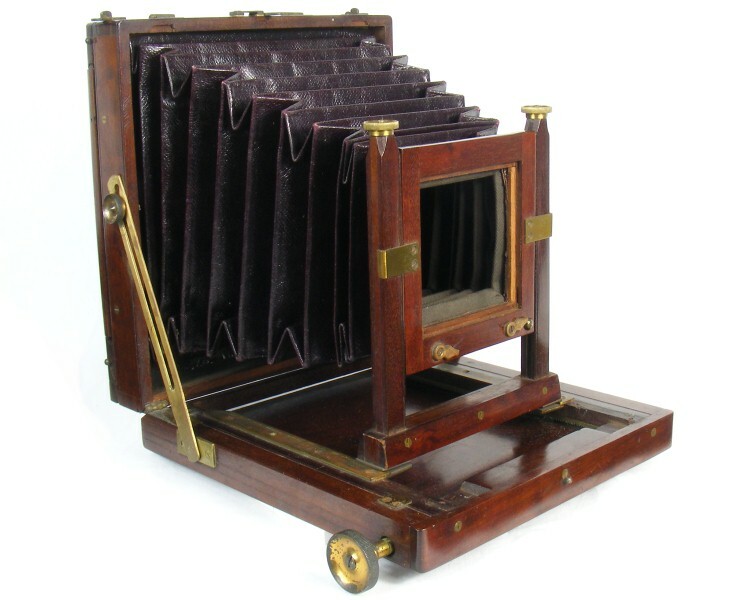 Construction: Well made field camera of mahogany with brass fittings, dovetail joints and square section tapered bellows. Photos copyright © 2017 David Purcell. Do not use without permission. 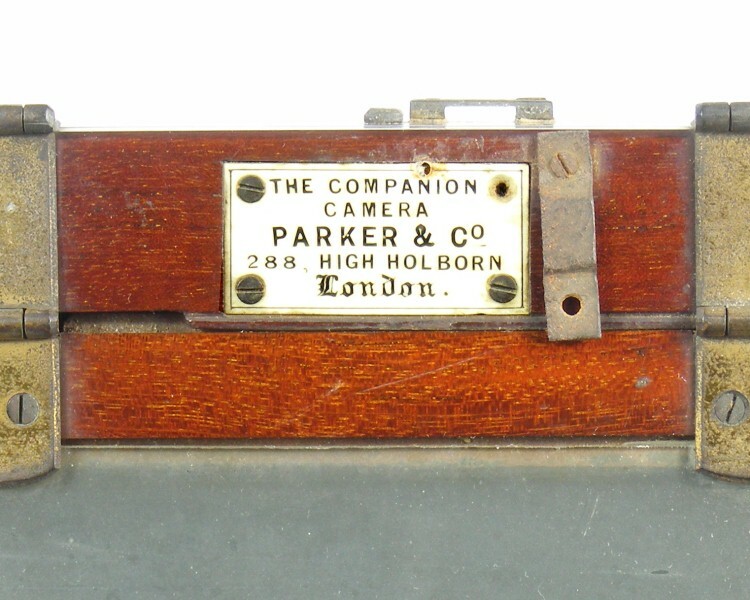 The Companion Camera made by Parker & Co is a well made ½ plate field camera, with square section bellows. 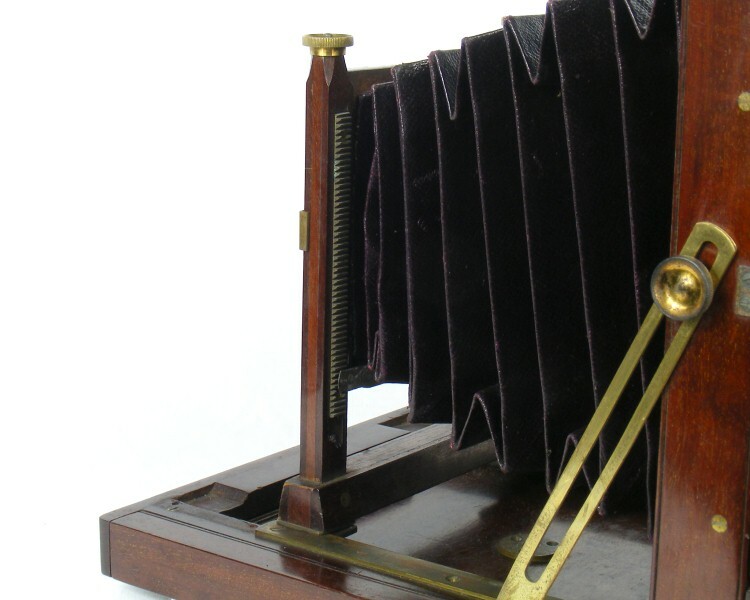 The lens board is missing. 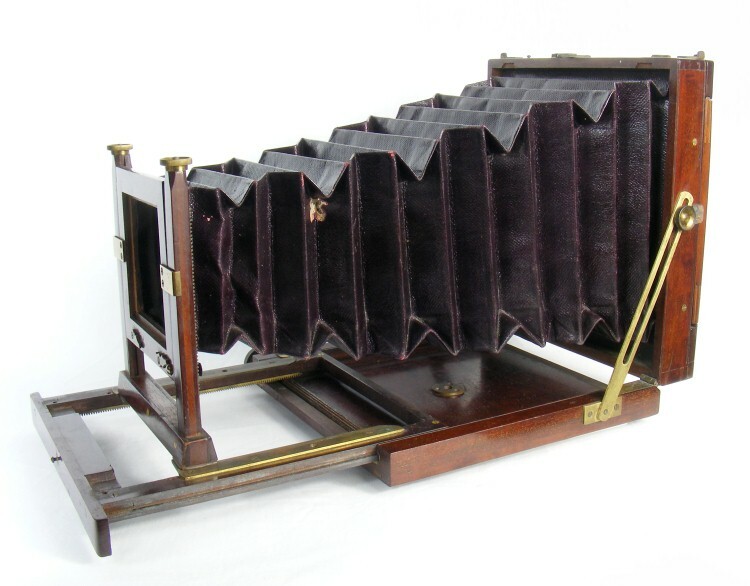 The camera is described in Channing & Dunn  in the Supplementary Listing, but with limited details. 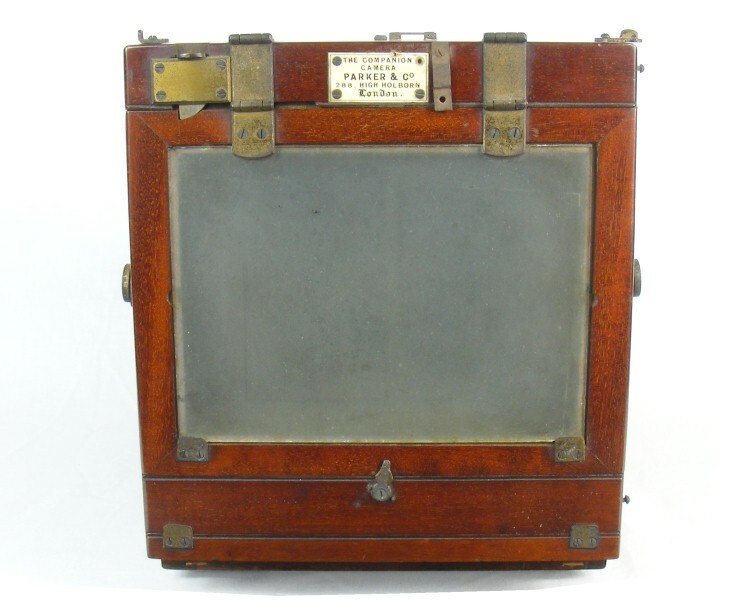 A plate on the rear of camera identifies it by name, along with the maker's name and their address at 288 High Holborn. 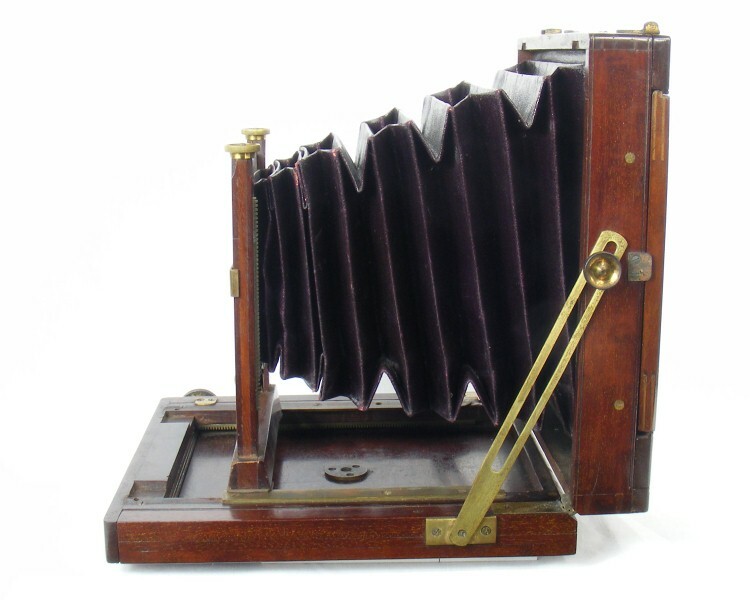 According to Channing & Dunn, this was their address from 1897, so hence the estimated date of the camera. 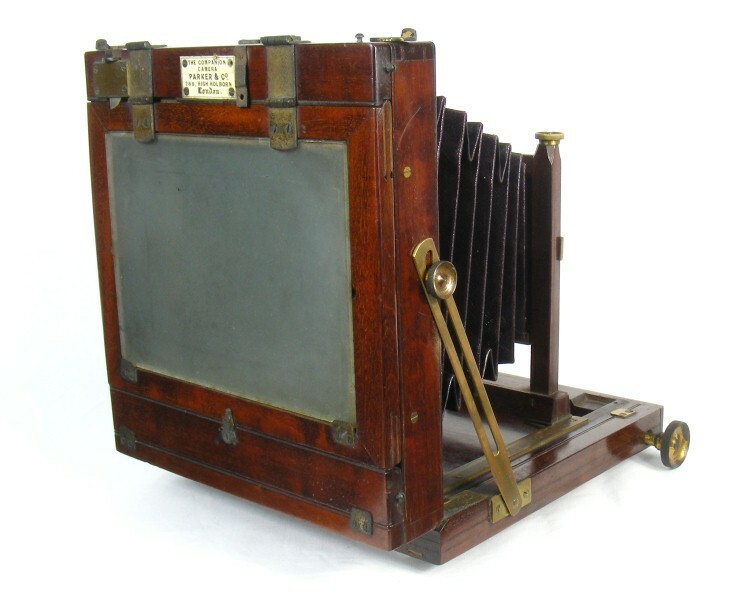 It is apparent that the brass side-rails on the baseboard have been moved during the life of the camera, now being set back by approximately 3cm from their original position. 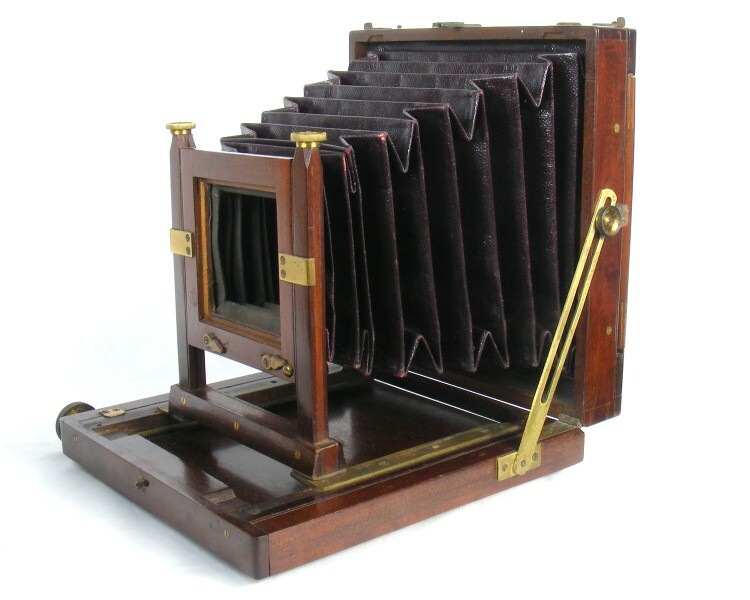 This might have been done to accommodate a wide angle lens. This change is most obvious in the photograph with the camera extended.